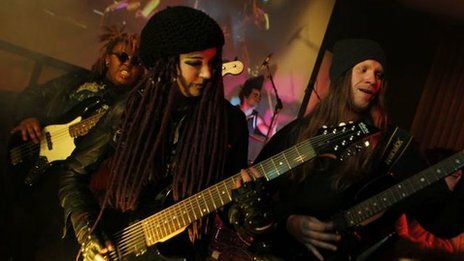 A two-year degree in heavy metal music has been branded an “easy option” by education campaigners. The foundation degree – believed to be the first of its kind in the world – is being offered by New College Nottingham (NCN). The college said the degree is rigorous and is being offered in response to student demand. However, the Campaign for Real Education said it was a waste of time and would “lack weight” with employers. Liam Maloy, a lecturer in music performance at NCN, spent seven months developing the course. Students will learn how to compose and perform heavy metal songs. 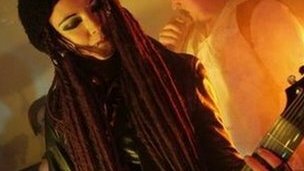 The course, which is due to start in September, will also include modules on the music business, the history of heavy metal and its role in films and video games. In the students’ second year, they will perform on tour at venues around the country. “It’s a degree, so it will be academically rigorous,” said Mr Maloy. Upon completion of the foundation degree, students can opt to continue their studies in music for a third year at the college and get a full degree awarded by Nottingham Trent University, which has accredited the course. However, Chris McGovern, chairman of the Campaign for Real Education said: “There are too many degrees being offered that lack credibility in the marketplace. “I suspect that may be the case with this course, unless you want to be a heavy metal star, in which case why would you need a degree in the subject? I wonder if Lemmy will be invited to be a visiting lecturer for this particular course as he will no doubt be able to comment and advise on the extra curricular activities that “heavy metal” musicians tend to involve themselves in. This entry was posted in Education, Employability, Music, Society, Students, Uncategorized and tagged Degree Courses, heavy metal, Students, waste of time, waste of time. Bookmark the permalink.